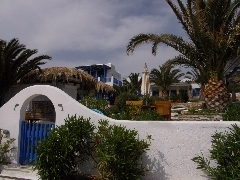 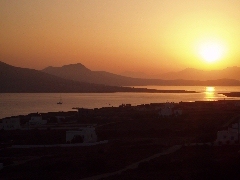 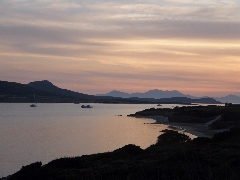 Dolphin Apartments is located on the south coast of Antíparos, in the village of Agios Geórgios, opposite the deserted island of Despotikó . 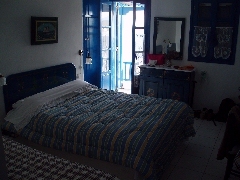 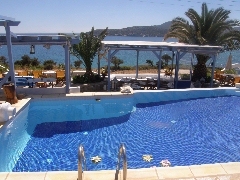 The hotel offers you 10 spacious studios for 2-3-4 persons, situated around a beautiful garden, with a great swimming pool. 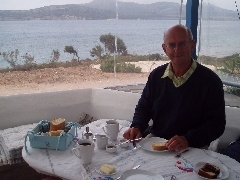 There are a few nice outdoor terraces, where you can have breakfast, lunch, or just a drink – always with a marvellous panoramic view on the sea and on the island of Despotikó . 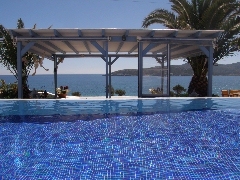 - a garden with a magnificent swimming pool – a great place to relax! 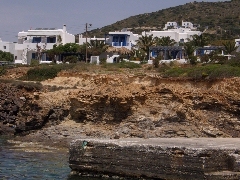 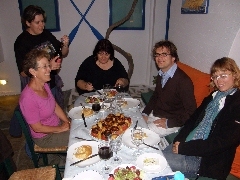 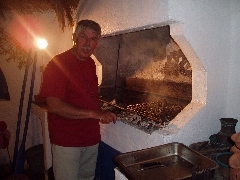 For all special offers and arrangements, see: Special offers of Dolphin Apartments.